Among the top tablet makers in the industry are Samsung Electronics and Apple. All of us were captivated by their respective tablet devices—the Samsung Galaxy Tab and the iPad, for example—and if financial limitations is not a consideration, then we would surely buy them. These are high-end devices that are excellent for personal and business use. For cash-strapped small and medium-sized enterprises, these tablet brands may prove unreachable, at least for the meantime. They need to settle with budget-friendly tablets first before they can purchase higher-end ones. Good thing that the market abounds with affordable tablets that SMBs can choose from. One of these tablets is the Hisense Sero 7 Pro. The Hisense Sero 7 Pro may come with a stunning price—just $149 at Wal-Mart—but that does not mean that you have to choose this device automatically. This is because, just like any other budget devices, the Sero 7 Pro has to compromise some features, such as performance and screen specs. If you are looking for a cost-efficient tablet, then the Google Nexus 7 is the right choice for you. Yet if this tablet’s slightly higher price tag is more than you can afford, then it would be good to consider the Hisense Sero 7 Pro. You might face some problems with this device especially when it comes to photo quality and CPU performance. This tablet comes with a few perks, however, if that is any consolation. For instance, it has an excellent battery life and an expandable storage that can take up to 32GB of additional memory. For you to be able to intelligently discern the wisest course of action to take when it comes to this tablet, we provided the most important specifications in the succeeding perusal for your perusal. The Hisense Sero 7 Pro is just like any other tablet when it comes to design—it is hardly a stunner. It sports a black front and a gray back and edges, which is attenuated by its rounded corners. Despite the lackluster design of this tablet, it is still a well-constructed device. This tablet’s 7” panel has a resolution of 1280 x 800p, which is higher than the Slate 7’s yet falls short of the standards set by the Google Nexus 7. The Hisense Sero 7 Pro also comes with a number of hardware features such as a volume rocker, a power-sleep button, a mini-HDMI port, a micro-USB port, a microSD card slot, and a 3.5mm headphone jack. 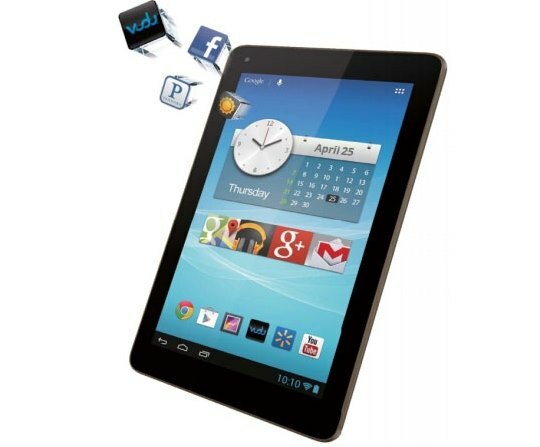 This tablet is powered by a skinless version of the Android Jelly Bean (4.2.1), meaning that there is no third-party UI that overlays the stock Android interface. This device also comes with two retail apps for Sam’s Club and Wal-Mart. Other apps include the mobile office suite and productivity apps Kingsoft Office, the gaming portal TegraZone, a TV Remote app, and music-streaming and radio app Pandora. The Hisense Sero 7 Pro has an 8GB onboard storage and a 1.3GHz quad-core Tegra 3 processor that is coupled with 1GB of RAM. Connectivity support includes GPS, NFC, Android Beam, Bluetoith 3.0 EDR and Wi-Fi. When it comes to camera performance, this tablet sports a 5MP rer camera and a 2MP front camera, both of which take poor photos. Doing the basic tasks with this tablet is a breeze, but the device’s quad-core processor experiences lags when executing the more complicated tasks. It has a saving grace, however, since its 4000mAh battery can last for hours with minimal use and maximum screen brightness. It rated 8.4 hours in the battery drain test.